What is PPC marketing and What does PPC stand for? PPC is short for pay per click. It is a type of internet marketing through which website owners and marketers generate traffic to their websites by having their advertisements placed on search engine results pages. Advertisers pay each time someone clicks on their ad hence the name pay-per-click. One of the most preferred forms of PPC is search engine marketing because it allows ad placement in the sponsored links section. Advertisers who use this form of PPC advertising place bids for a keyword and if their bid wins, their ad is placed in that section. Given that this area is at the top of the search engine results page (SERP), advertisements feature prominently. You can learn more about Digital Marketing by taking this PPC Certification course. Though most adverts will usually include only some of these elements, one thing remains certain: a PPC ad should be attractive enough for people to click on it. And as is evident in most SEO vs PPC debates, a PPC ad that is well crafted and has the right keywords is a great targeting tool. The most important part of being a PPC professional is to take a client’s budget and turn a profit out of it by running successful PPC marketing campaigns. A PPC specialist is a person who can demonstrate having achieved such a track record repeatedly. 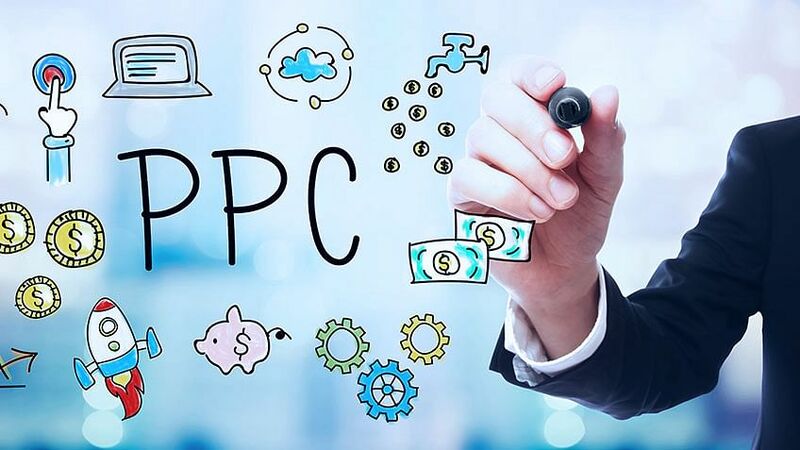 Unlike other marketers who can have general knowledge of most online marketing areas, a specialized PPC professional must have in-depth knowledge of PPC. A PPC consultant for instance, is a specialist because they have amassed enough work experience to offer PPC advice and handle end-to-end management of large projects. What does a PPC Expert do? The important thing to note here is that if PPC ads are relevant, well targeted and satisfying to visitors, search engines like Google charge less. So, before you start creating any ads, make sure you have all the skills necessary to get it right the first time. With that said, let’s discuss the PPC skills and tools necessary to succeed as a PPC Expert. What skills and tools do PPC experts need? The pre-launch analysis is a given for every campaign. But the majority of PPC campaign management post-launch is analysis. A lot of data is involved in each campaign, hence the ability to not only manipulate data but to also understand it and make projections, is necessary for a PPC analyst. Without analysis, real-time campaign management would be impossible. It would also be that much harder to make a profit. Google analytics. This is a free tool with payment options for enterprise-level subscribers. Certified knowledge. Starting at $79 per month, this tool is vital for data collection and analysis. Since it is a suite of tools, it is a must-have for anyone going into PPC advertising. Adalysis. This is a suite of tools that do split testing, managing keywords, campaign monitoring and reports. It saves a lot of time because it only issues alerts when it finds anything that needs changing. It is a paid tool ranging from $99 to $549 and upwards, depending on the advertising spend. Excel. The sorting capabilities within excel make it a must-use for PPC managers. Excel pivot tables, make it possible to manipulate large quantities of data to reveal patterns embedded in campaigns. Things happen fast in the internet world. Only by being organized and managing time properly does a PPC professional stay relevant. A great way to manage time is by using tools like Adwords scripts. Scripts are pre-written code that performs PPC-related tasks such as pausing keywords that aren’t getting impressions, or, fix problems such as broken URLs. You don’t have to an artist but at best, you should be skilful enough to create ads that people will find interesting and want to click on. Creative ads make people feel something. For instance, they should feel as though they will miss out if they do not click on featured ads. Canva. This tool allows you to drag and drop images and inlay them with text. It is simple to use and a good choice for any level of PPC experience. Facebook text overlay. Facebook ads that exceed a certain word limit are likely to miss their intended audience. Creating Facebook PPC ads with this tool removes the guesswork out of ad creation. This skill is particularly important for PPC consultants because they act in an advisory capacity. Since customers are drawn from diverse industries, it is important to understand the business world in general, the specifics of each client’s industry, and, the nuances that define each business. Such understanding will: facilitate the correct choice of keywords, advise the creation of ad copy, and direct placement decisions. Google, Bing, Wikipedia and YouTube are reliable tools for learning about clients and the industries they operate in. A good PPC manager should be good at explaining things to clients. They should communicate to clients daily (if not several times a day), about campaign progress. If changes to the campaign are necessary, it is up to the manager to package the information in a way that will minimize panic, then pass it on to the clients. Last but not least, a PPC expert must be adaptable. Things may not always go as planned and a good PPC manager should be quick to notice such signs early and change the course of the campaign. Being adaptable also means constantly learning and updating your PPC knowledge. You can learn PPC from sites such as WordStream, although to become a PPC specialist, you should take a structured training course. Online universities also offer a collection of other digital courses such as search engine marketing, that complement PPC. Split testing is part of the continuous PPC ad management process. It is not possible to know intuitively how ads will perform. With split testing tools, managers can retarget ads or pages and deliver a more personalized experience for visitors. Google trends tell you which keywords are most searched so that you can base campaigns around those keywords. Adwords editor. Working offline is sometimes inevitable and this tool allows PPC professionals to do just that. It allows for bulk changes within minutes using functions such as copy, paste and drag. While this tool doesn’t have a lot of capabilities, it is a time saver. With iSpionage, a PPC manager can monitor the keywords that websites in any industry are bidding on. Additionally, you can find out how relevant ads are as iSpionage shows how one website ranks vis-à-vis other websites. What skills are a PPC specialist expected to have? Good relationship management begins with understanding the client’s business. Upon landing a contract, fast response to requests and being painstaking with details are some ways that a PPC specialist can keep clients happy. Customers shop around a lot before they settle on a PPC consultant. In fact, for the first few projects, most customers are only happy to work on a trial basis. With pre-sales skills, a PPC specialist will find it easier to sign up clients. Post-sales skills are important for tasks such as bidding for keywords and outselling the competition. Why do companies hire PPC Specialists? Companies trust a PPC professional who has a lot of PPC experience and who has built a positive track record of producing results. It is better to entrust important but time-consuming tasks such as keyword research to someone who does this type of job full time. With everything else they have to do, business owners will not give keyword research the full attention it deserves. No need to invest in tools. PPC consultants work with a collection of powerful tools that assist in keyword research, analysis, data collection and report creation. The approval process for most companies would not accommodate most of these third-party tools. Having someone else to run campaigns means that company owners can focus on other parts of the business. Lack of technical skills. The technical nature of tasks such as split testing and altering code means that only a dedicated resource can handle them. PPC consultants know what it takes for a landing page to be user-friendly, appealing and hence highly converting. Most business owners do not know the first thing about landing page optimization. PPC tools and methodology is always changing and companies cannot keep up unless they have a PPC specialist to keep them up to date. Running PPC ads requires certification. Not to mention, it has to be renewed yearly. For most business owners, it makes sense to hire a PPC manager than to have to learn PPC. Google support. PPC specialists are like an extension of Google and Microsoft hence they receive a lot of technical support from both companies. Search engine optimization (SEO). Most professionals who do PPC advertising are also knowledgeable in digital marketing areas such as SEO. Applying SEO techniques ensures that search engine marketing campaigns attract more traffic. Bottom line: What Do you need to get started and what are the prospects? When clients or employers are looking for a PPC specialist, certification and experience are what count. Certification builds trust. It’s not enough for you to say you are a PPC expert. Potential clients need proof and your certificates are it. To claim that you are a specialist, you need to be Google Adwords Certified. To hold this certification, you need to study all current Google Adwords material, then take and pass your fundamentals exams and any of the following four: shopping advertising, Search Advertising, Mobile Advertising, Display Advertising, and Video Advertising. Certificates are valid up to a year, hence you will need to take yearly exams. Microsoft also offers PPC training. To be PPC certified, advertisers must learn topics such as how to bid, best practices, keyword matching, optimizing ads, and more. This is a more rigorous and holistic PPC training offered by industry experts like Brad Geddes. Think of it as your PPC degree. There’s even a master’s level for those willing to differentiate themselves even further. Certification is important for anyone with dreams of advancing their career. PPC jobs are well paying, although salaries differ depending on experience and certification. Therefore, by comparison, a PPC specialist salary is likely to be higher than that of a beginner PPC manager. Other factors such as industry, employer and geographic location also affect salaries. Recent Data shows that Adwords-related jobs in the US get paid anywhere between $51,134 per year to $63,911 per year. In the UK, PPC manager salary ranges between £23,000 to £48,000 (approximately $30,000 to $63,000). Though employers offer bonuses, PPC specialists report higher earnings when they run their own business. Below are 2 tables depicting PPC job salaries for UK and US markets.